Cold Rolled Grain Oriented (CRGO) silicon steels are used for laminations of the Power Transformers. 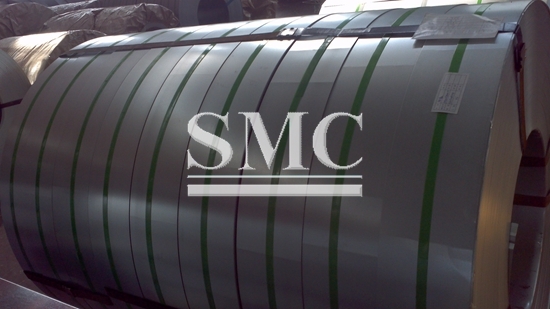 Cold Rolled Grain Oriented (CRGO) sheets will have superior magnetic properties in the direction of rolling. The crystals are aligned in the direction by cold rolling followed by heat treatment process. Magnetic properties of the CRGO steel Sheets are dependent on the magnetic properties of the individual crystals of the material and the direction of orientation of the crystal. The properties of the CRGO silicon steels are improved by composition, manufacturing process, heat treatment, laser irradiation etc. of grains lesser the losses and hence grain size of CRGO steel is made larger than normal steel. 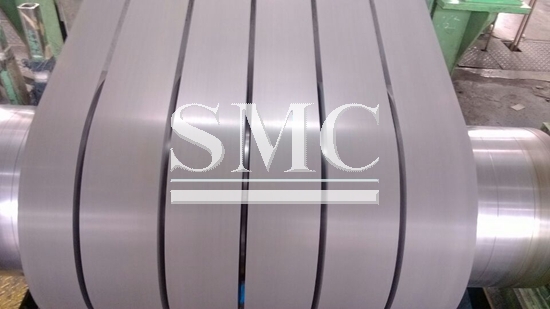 Thickness of the CRGO sheets will be of the order of 0.35mm to 0.23mm. These CRGO Steel Laminations are stacked together to form a magnetic core for the Transformer. Content above 3.5% makes the CRGO silicon steel sheets brittle. is called hysteresis loss which make it non reversal. applied, humidity, temperature, and other parameters.